Don Moss, Ph.D., retired in 2012 after enjoying 37 years as a professor of psychobiology at the University of Texas at El Paso. His interest in writing grew out of his decades-long effort to develop an innovative and effective drug to treat dementia in Alzheimer’s disease. While attending his 50th year reunion of his high school graduation, Dr. Moss showed a draft of his book, Alzheimer’s: My Journey to a Next Generation Treatment, to a classmate, Jim Summerton, Ph.D. Dr. Summerton and Dr. Moss decided to form Brain-Tools, LLC, ( www.brain-tools.com ) to do what was necessary to get FDA approval for Dr. Moss new drug and get it to the patients suffering with this devastating disease. 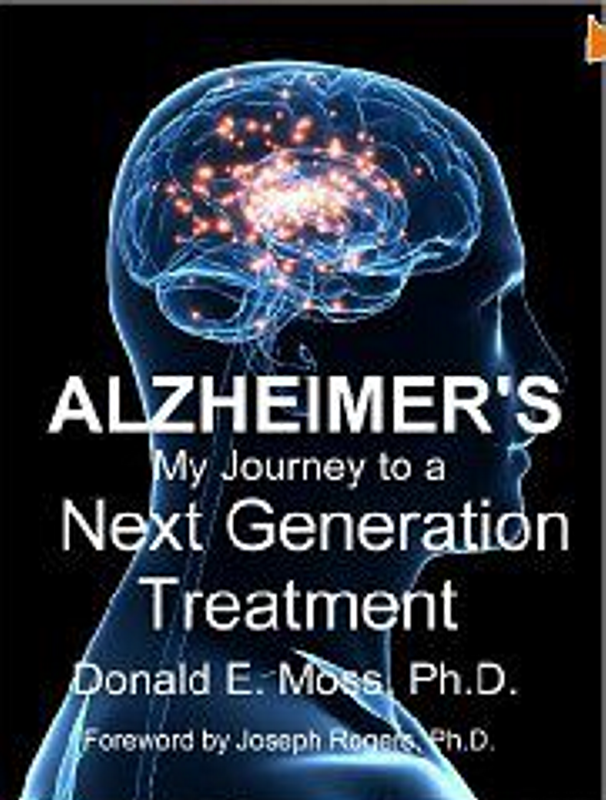 Alzheimer’s: My Journey to a Next Generation Treatment, the true account of Dr. Moss’ struggle to develop his drug, called MSF, was published in 2013. This is the story of triumph, heartbreak, peppered with humor in his adventures that took him to Mexico and Argentina. 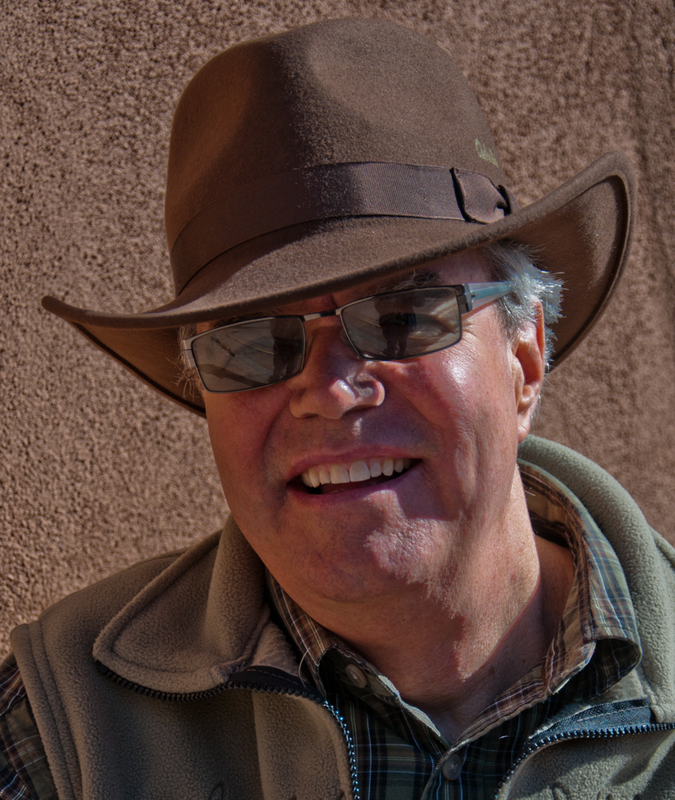 His book also won an EVVY award from the Colorado Independent Publishers Association in 2013. Don’s website can be found here. A magnificent piece of work. Your account of the MSF story is so impressive that I could recreate in my mind every scene described in every chapter. I suffered much learning about the misfortunes you endured; the importance of the subject matter, and the good humor you sprinkled throughout your writing didn´t let me stop reading it. I´m still in shock. How can these things happen? I just can´t find the words to define what you did and went through. I think this story should be known by everybody interested in finding solutions to medical problems. This, of course, applies to the study of memory processes. In the last instance, all of us want to know how memory is formed in order to prevent or treat cognitive disorders. What many of us don´t know (I didn´t know until I read your draft) is that finding a treatment that may be beneficial does not necessarily mean that it will eventually be available to the suffering human being. Yours is a clear case where all levels of bureaucracy stand in the way of helping people. The same must hold true in other areas of research. P.S. Your book could be used as a script for a movie. In this fascinating memoir, Don Moss has written the ultimate case study for how no good deed goes unpunished. From a week-end experiment as a graduate student that led to the proof-of-concept for an elegantly simple way to boost memory, we follow the turbulent odyssey of a scientist on a mission to bring relief to the millions of sufferers from Alzheimer’s disease worldwide. The quest for a potent antidote to the memory loss that characterizes Alzheimer’s dementia didn’t end when a fatal mistake forfeited the possibility of a patent and the riches that could have followed. Driven only by a scientist’s desire to discover, and a humanitarian’s hope of bringing relief to millions, Moss pressed on. We marvel at the devotion of a cadre of loyal students and colleagues who believed in his quest and helped him carry it out, while deploring the bureaucratic ineptness that impeded him at nearly every turn. Ultimately overwhelmed by the profit motive of the pharmaceutical industry, the story ends with the promise of relief from Alzheimer’s disease tantalizingly close but as yet unfulfilled. This honest revelation of how scientists really work, what drives them to discover, and how the need to do well instead of good by those who transform their work into society’s larger ends, is an engaging and enlightening story from beginning to end – one of the best scientific memoirs of the decade. The long shadow of a neighbor lady sweeping in front of her house cut across the sidewalk, into the street. As I looked up, she stopped her early morning ritual and mumbled a greeting that broke my dismal train of thought. I nodded and tried to return a smile. A few minutes later, I unlocked the front door to Centro Medico Geriatrico and let myself in. Dr. Patricia Berlanga – Pati, as I called her – had given me a key so I could come in early and prepare for the rush of seeing patients. Although she lived over the clinic, she didn’t come down until later when Mary Boggiano, the Ph.D. student working with me, would also come to the clinic, and we’d get started on the day. Sitting down at a rickety table in the lab that I’d set up in a front room of the clinic, I took out my notebook and opened it to the page that listed the patients’ names and weights. Punching numbers into a calculator, I came up with the dose of methanesulfonyl fluoride (MSF) for Don Manuel. He wasn’t my first-ever patient but he would be the first one I’d see that morning. I blinked and squinted, wondering if the little numbers on the display were correct. If I started thinking too hard, nothing seemed right, especially if I hadn’t gotten enough sleep. Figuring out the dose of an untested medicine is dicey. If I didn’t give enough, it wouldn’t work. If I gave too much, it could be toxic. I was sure no one would die from it because in the past few weeks I’d given MSF to some healthy people as a test, and to rats and monkeys before that. They’d been all right. Giving it to Alzheimer’s patients was the unknown. They’d be taking it for two months, four times longer than the healthy volunteers had taken it. And would the frail old patients be easier to overdose? What I calculated for Don Manuel looked right, and I decided to go with it. To measure out the MSF, I turned to an analytic balance that I’d borrowed from my lab at The University of Texas at El Paso. It sat atop a crude stack of cement blocks from a construction site down the street. They made a rock-solid table for the balance so that vibrations in the floor wouldn’t give me inaccurate weights for the pin-head sized droplets of the pure drug. A wrong weight could do real harm by overdosing a person. I remembered the afternoon that Mary, Hugo, my other assistant, and I stole the cement blocks for the table. Pati refused to go with us the afternoon we went to buy them. I’d seen them stacked along the street not far from the clinic. “I want to wait and buy some of those,” I said as I parked and turned off the car. It was lunch time and I thought the workers would be back soon. Mary and I jumped out to help Hugo who had picked up a block in each hand and was carrying them to the car. I opened the trunk and we dropped in enough blocks to make the small table. When the three of us got back to the clinic, my dung-brown 1984 Mercury Gran Marquis was riding down on the rear axle like a low-rider. Pati said I should have a bandana around my head. Although she hadn’t gone with us to steal the blocks, she helped unload. We laughed ourselves silly as we stacked them into the ugliest table any of us had ever seen. Saying that she needed to preserve some dignity in her clinic, Pati insisted on covering the makeshift table with a blue cloth. As I turned my attention back to putting Don Manuel’s drug into capsules, I got into the rhythm of the work and thought more about what I was doing. In my heart, I thought that MSF could help millions of Alzheimer’s patients. I’d tested the drug in laboratory animals. I’d tested it on myself. I’d tested it in normal human volunteers. All these things justified, in my mind, testing it in Alzheimer’s patients even if I had to do it in Mexico. No company in the States was willing to help, and in Mexico, at least, I could stretch the meager dollars I had for the study. Two hours later, as I was putting the finished capsules into a brown glass bottle labeled with Don Manuel’s name, Pati pushed the lab door open with an elbow, balancing a cup of coffee in each hand. Her short dark hair and olive skin contrasted with her crisp white coat. I envied her fresh, chipper look. At least one of our team had gotten some sleep. Or maybe being ten years younger than I was, she just didn’t show stress. As Pati smiled and handed me the mug, almost too hot to hold. I realized that after working in the lab for a couple of hours I needed a hefty jolt of her black Combate Mexican coffee. I pulled it up to my face to feel the steam and inhale the aroma. “Don Manuel will be here shortly. Are we ready?” she asked in Spanish, the only language we used with each other. Her dark eyes flashed, and she wiggled her shoulders like she couldn’t contain her excitement. “I hope they haven’t changed their minds.” I said, venturing a sip of the brew before I stood and pulled back the curtain on the window to check the street. I saw a dark Suburban with tinted windows, the only vehicle in view, rolling to a stop in the shade of a tree. As soon as it came to rest, two large men wearing sunglasses and baggy coats got out and looked up and down the street before they opened the passenger-side door. Bright morning sunlight filtered through the leaves as I watched a young woman with long black hair hop down from the Suburban. She turned and gave her hand to a tall white-haired gentleman, an ex-senator of Mexico, as he stepped down. Arm in arm, they came into the clinic courtyard and up to the front door. Within a few minutes, the man and his granddaughter, a thirty-year old woman with chocolate brown eyes and smooth skin, seated themselves across the table from Pati and me. The vacant look in Don Manuel’s dark watery eyes betrayed the only outward sign that Alzheimer’s disease was a fire smoldering among the nerve cells of his brain, leaving them lifeless and wasted. He had failed the memory tests I’d given him earlier suggesting that he would be a good candidate. But his eyes, what Hugo called the look, clinched the diagnosis. If he enrolled in the study, he would be one of the first to show me whether or not MSF could pull victims back from the gathering storm of confusion and loss. Looking directly into the old man’s grizzled face, I asked “¿Cómo está usted?” The old man smiled and began a disconnected conversation about a pecan orchard. “Está bien,” his granddaughter interrupted, telling me that he was fine. Her kindness impressed me, and her face lit up when she talked about her grandfather. Although she looked delicate and feminine, I guessed that the bodyguards waiting in the reception room had nothing over this woman when it came to taking care of her abuelito. “Are you ready to begin?” I asked, still looking at the old man and using formal Spanish appropriate for an elder who had earned the honorific title Don. My inquiry triggered another meaningless string of words. “He’ll get both,” I said, “MSF for eight weeks and the placebo for eight weeks. Which he gets first depends on the flip of a coin. I promise he will get the medicine half of the time.” I glanced at Pati who smiled her reassurance. “Are you sure you want to go through with this?” Pati asked, reaching across the table and taking the woman’s hand. “Why don’t we have something for this awful disease?” the granddaughter asked in a whisper. Finally, she blinked back a tear and gave a nod. “Tenemos fe,” she said. More tears welled up in her eyes, and she reached over and squeezed the old man’s bony hand. “We have faith,” she repeated softly in Spanish as she took the bottle. Don Manuel sat quietly for several seconds, looking back and forth at the three of us, seeming to sense that something important had happened, struggling to understand. Long after the others had left, I sat alone in the lab. Why would anyone have faith in an untried drug offered by a foreigner who had to steal cinder blocks and work out of a makeshift lab in a neighborhood clinic? Could I realistically expect a few tiny drops of MSF to raise the mind from the ashes of a brain smoldering with disease like the great Phoenix regenerating itself? I’d been asked many times why I thought that I could come up with a treatment for Alzheimer’s when multinational companies with hundreds of millions of dollars and teams of scientists failed. Why was Pati the only medical doctor I’d found who would get involved and take responsibility for patients on MSF? How could I be sure I hadn’t talked myself into something everyone else, except Pati and Jo Anne, my wife back in El Paso, saw as a dangerous folly? I drained the last of the stone-cold coffee from my cup. What the hell was I thinking? It’s a cold March night in the high desert mountains of the Apacheria. The young Chihenne Victorio prepares for his fourth dihoke mission, the final apprenticeship he must complete to become an Apache warrior. Victorio has just returned from four days and nights on the Sacred Mountain where in a vision he has seen White Painted Woman in the form of an eagle, he has heard her scream.